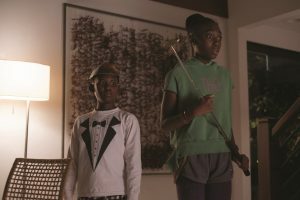 “Us” (2019). 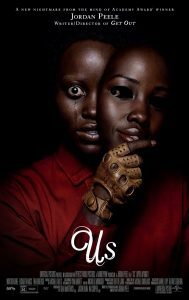 Cast: Lupita Nyong’o, Winston Duke, Shahadi Wright Joseph, Evan Alex, Elisabeth Moss, Tim Heidecker, Cali Sheldon, Noelle Sheldon, Yahya Abdul-Mateen II, Anna Diop, Madison Curry, Ashley Mckoy, Napiera Groves, Alan Frazier. 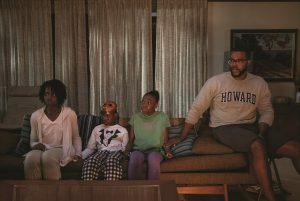 Director: Jordan Peele. 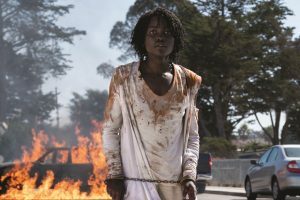 Screenplay: Jordan Peele. Web site. Trailer.  There’s quite an irony in that, given that the same inquiry is central to understanding the conscious creation process, the philosophy that maintains we manifest the reality we experience through the power of our thoughts, beliefs and intents. In this case, though, the filmmaker is asking us to do as much work in that vein as he’s putting his characters through. In that sense, then, we’re not just being offered a celluloid example of the philosophy at work; we’re also being tasked with engaging in an exercise that allows us to see firsthand how it functions, with each of us given an opportunity to create a cinematic experience of our own, one based on the beliefs we hold about the material being presented to us. And, since conscious creation essentially maintains that we each create our own reality, we’re each going to do just that where this picture is concerned in terms of what we see, what we think about it and what we ultimately experience, all driven by our beliefs. For the record, we actually do that when we see any movie (or actively engage in participating in any aspect of our existence, for that matter), but we usually take the circumstances and outcomes in those situations for granted, paying little attention to how they arise. 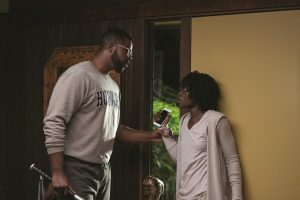 Here, though, director Peele places that notion inescapably in front of us, impelling us to participate – consciously – in this exercise in reality creation. In that regard, we’re truly doing more than just watching a movie; we’re being given a metaphysical tutorial of sorts, one that, in the end, is enlightening, entertaining, thought-provoking and a hell of a lot of fun. 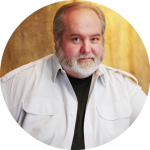 While many viewers are likely to have similar takes on what they see, there will no doubt be instances where individual audience members come up with interpretations all their own. But that’s okay, considering the ample fodder that the filmmaker gives us to work with (not to mention the fact that we already do the same when it comes to our experiences in other life contexts). So what I offer here are my thoughts on what this picture is saying from a conscious creation perspective. And, in doing so, as I noted above, I’ll make an especially concerted effort to share my views without revealing any spoilers in the process. 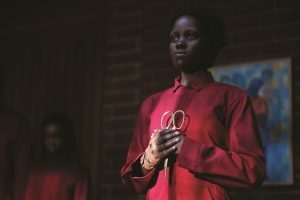 Middle-aged housewife Adelaide Wilson (Lupita Nyong’o) fights back when confronted with extraordinary circumstances in the new smart horror release, “Us.” Photo by Claudette Barius, courtesy of Universal Pictures. Considering that indifferent, condescending attitude – one created by the beliefs of those who hold it – it’s not too difficult to figure out what it would take to get their attention. And those who demand their share of the pie may not be as gracious in seeking it as those living in the light might think they should be (the one-percenters might want to take note of this). But, then, such outcomes are not unexpected when we practice un-conscious creation, an expression of the philosophy that results when we focus exclusively on manifesting what we want with no consideration for the consequences of our efforts, one often fraught with unintended and undesirable side effects. In this case, the resulting situation calls to mind a Biblical passage that’s prominently featured in the film literally, figuratively and symbolically, the text of Jeremiah 11:11: “Therefore thus saith the Lord: ‘Behold, I will bring evil upon them, which they shall not be able to escape; and though they shall cry unto Me, I will not hearken unto them.’” Yet another manifestation belief is fulfilled, one as reflective of the notions held by its adherents as anything seen in the funhouse hall of mirrors. Admittedly, the foregoing is a lot to absorb, but, in actuality, it’s only part of the story. There’s potentially much more one can take away from this film, again, depending on the individual belief-based interpretations discussed earlier. I could say more, but I’d be straying too close to the spoiler territory I endeavor to avoid. So my recommendation is to watch this one for yourself and see what you get out of it. Personally, I can’t wait to screen it again to see what I may have missed the first time.